Obviously there are many people who love being at JMU, and thats understandable. However, avoid this school if you are accustomed to a diverse peer group. JMU is ridiculously full of white conservative people who enjoy sports and beer. Not a bad thing, but if you aren't from a similar background you will feel stifled. Damn straight. 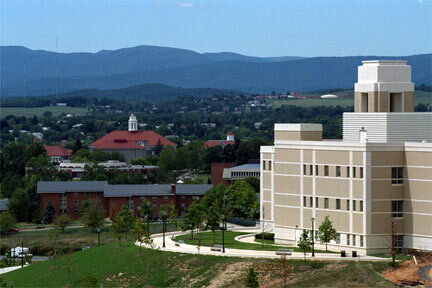 JMU is one of the only places I've been where having the ability to think for yourself is pretty much a disadvantage. There were lots of times I felt left out or "cliqued out" there cause I just didn't conform to the JMU mold, and I paid for it; which, of course, is ridiculous. I definitely felt stifled there. Wow, imagine that? A school of full of white conservative kids who like sports and beer?? Sounds like what we used to call the "American college experience." Count me in!